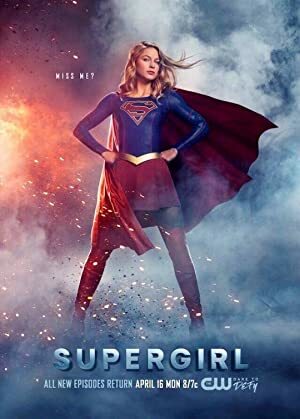 Supergirl – Season 2 (2017) – What's New on Netflix Canada Today! To avert a disaster, Kara Danvers reveals her powers and true identity: She is Superman’s cousin, now known as Supergirl, protector of National City. Supergirl and Superman team up to stop a new threat emerging in National City. A Kryptonian pod comes crashing down to Earth. Supergirl is hurt by a kryptonite-powered villain sent by Cadmus to attack National City. Superman blames Hank since the kryptonite was stolen from the DEO. In the meantime, Kara’s first day at her new job doesn’t go as planned when she meets her new boss. Supergirl and the DEO are assigned to protect the President when an attack on her causes alien vs. human rights in National City to heat up. Alex investigates the case with Maggie Sawyer while Kara fears Mon-El may be responsible.